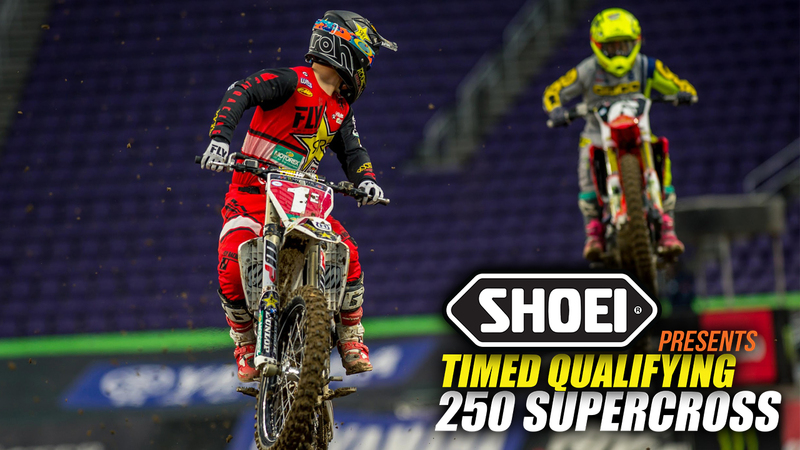 Defending 250 East champion Zach Osborne put himself on top in session one and two. 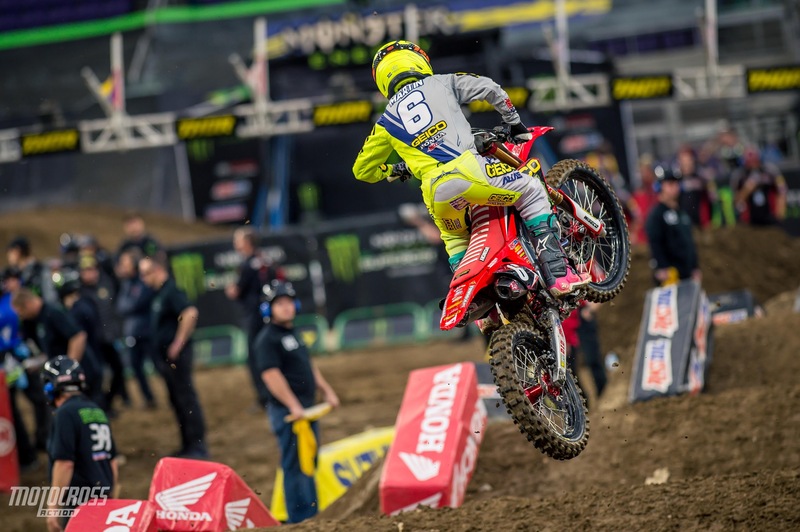 It was a hard fought battle between himself, and the top three, but in the end, he ended up on top here in Minneapolis. 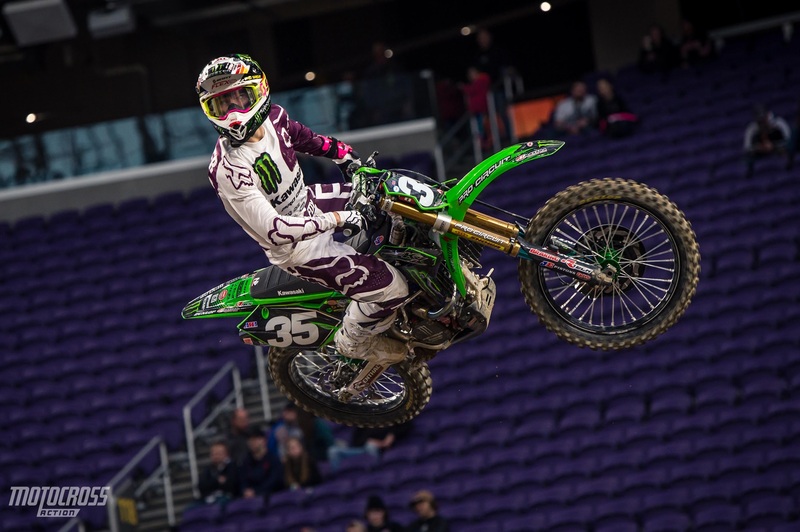 He started up front, and followed closely behind Austin Forkner. 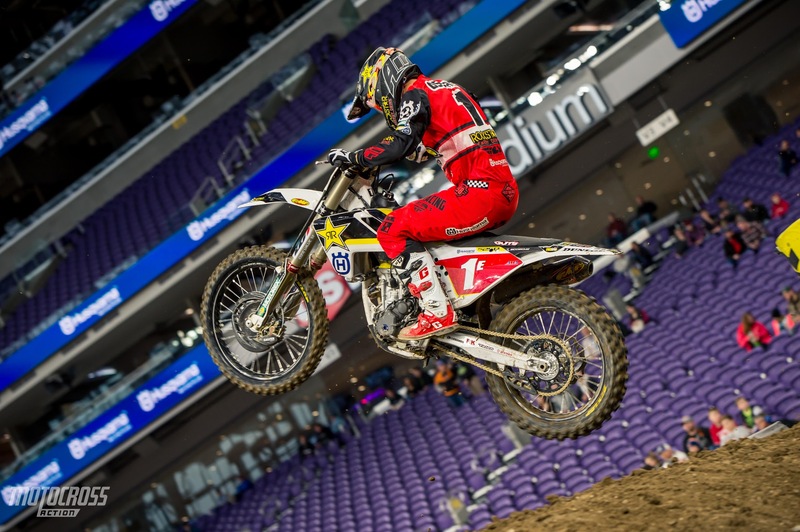 Jeremy Martin was not far behind in both sessions. He looked very strong, and found almost every smooth line the track had to offer. Austin Forkner jumped to the early lead in session two. He held the fastest time for multiple minutes, but lost it toward the end. You can bet on him giving it everything he has to inch closer to the championship here tonight.